(Slovenia) – Intra Lighting selected by Red Dot for third time with Dawn luminaire. Dawn, designed by Italian lighting designer Lorenzo Truant, is one of a kind as it is made of one complete piece, hiding the light source underneath its edge and making the cable a design element also. The Red Dot is the third consecutive award recognition for Dawn in the short span of just six months. 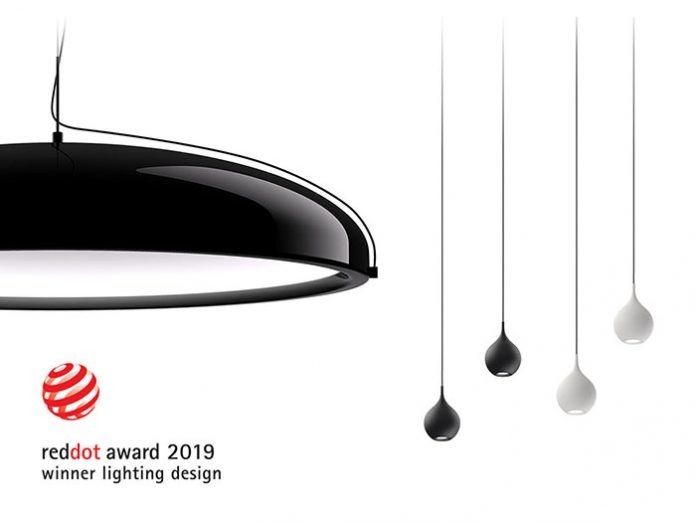 Biba has also been selected by Red Dot, one of the world’s largest design competitions honouring products with the wow factor in both good design and innovation. While the elegant, minimalistic Biba created in collaboration with industrial designer Nina Mihovec of Wilsonic Design, surprises by not only being sophisticated in looks, it also weighs an unexpected amount due to its full body, which in turn serves as a heat-sink and provides a solution to weigh down its cable.